Observation - Ancient coppiced ash - UK and Ireland. Description: Coppiced ash forming large distorted stumps, unlike the more familiar hazel. This ancient wood has some stumps over 1000 years old. Coppicing is regularly carried out by Norfolk Wildlife Trust. 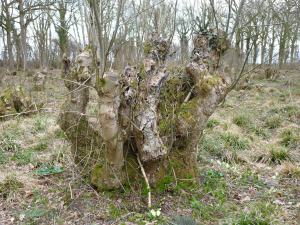 Coppiced ash forming large distorted stumps, unlike the more familiar hazel. This ancient wood has some stumps over 1000 years old. Coppicing is regularly carried out by Norfolk Wildlife Trust.